The furious and vocal critics of the first batch of adverts for the new 'This Is Belonging 2018,' advertising campaign for the British Army missed the target in two respects. One, last years 'Belonging' campaign was a success with a >30% uplift in applications and second, the new animated adverts are only part of a broader campaign and should be seen in that context. I can see where the agency luvvies are going with the campaign and I am warming to it. With my own boy sitting in a Med Centre after a ruck in IS training I see no evidence that the Army is getting soft. I know which side I'd rather be on. Brigadier Roly Walker explains the changes around the refining elements of Army 2020. Army 2020 Refine is the implementation of the Government’s Strategic Defence and Security Review SDSR commitments. Before SDSR 15, Defence policy required an army designed for an enduring operation at the brigade level; new policy demands that the Army is able to field a modernised division, capable of fighting as the principal output of the Army. From this structure the Army must routinely be able to reorganise for a range of other tasks and operations, at increased readiness. (Interested readers may care to note that the last time the British Army deployed an Army Division for training purposes was for Exercise White Rhino, in West Germany in September 1989. The largest subsequent exercise was Exercise Saif Sareea II in 2001 when over 22,500 personnel deployed to the Oman. The last time the British Army executed a Divisional Movement Order was for Op TELIC 1 for operations in Iraq in 2003). As a result of this, the Army’s structure will change. 3rd (UK) Division will be reorganised to form two Armoured Infantry and two STRIKE brigades, one of each held at high readiness. The Army has re-designed four infantry battalions, with a fifth to follow, to become Specialised Infantry. These battalions will become experts in Train, Advise, Assist, Mentor and Accompany operations with indigenous forces. The introduction of Specialised Infantry capability will mean some re-organisation of the infantry divisional structure from seven to six divisions. The Royal Regiment of Scotland, the Royal Welsh Regiment and the Royal Irish Regiment will be grouped together into a single administrative division called The Scottish, Welsh and Irish Division, however there will be no changes to the Regimental construct of any of those regiments. Of passing interest to some readers will be the Regular and Reserve infantry battalions that will receive increases in manpower liability as a part of the Army 2020 Refine announcement made by by the Secretary for Defence on the 15th December 2016. Also of interest to some will be the numbers of Service personnel in units that are being disbanded or reduced and redistributed to other similar units. 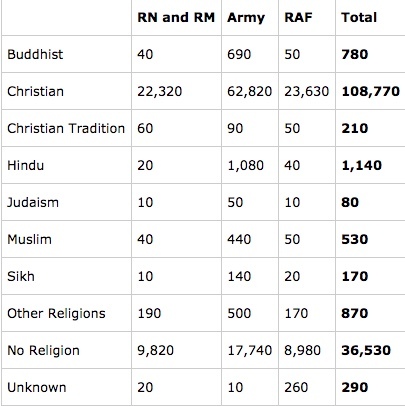 The table below sets out the Regular and Reserve units that will receive reductions in manpower liability as a part of the Army 2020 Refine announcement made on 15th December 2016 by the Defence Secretary. The liability data provided is for internal Army planning purposes and is subject to regular review. Just for the record, the current trained strength of the British Army, as of March 1st 2017, is 79,440 against an establishment of 82,390 (95.4%). Trained soldiers are those who have passed their Phase 1 basic Service training. 75,650 of these are 'trade trained,' meaning they have passed their trade training, (90.8%).